Dr. Bibekananda Mohapatra assumes charge as DG-NCB.. 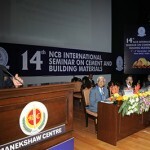 The 13th NCB International Seminar on Cement and Building Materials was held from 19 to 22 November 2013 in New Delhi. The four day event received overwhelming participation of more than 900 delegates including 115 overseas delegates from various countries. The Seminar was inaugurated by Dr. E. M. Sudarsana Natchiappan, the Hon’ble Minister of State for Commerce & Industry, Department of Industrial Policy & Promotion, Govt. of India. Dr. Natchiappan also released the special publication, “Indian Cement and Construction Industry – Present Status and Future Outlook”, brought out jointly by National Council for Cement and Building Materials (NCB) and Cement Manufacturer’s Association (CMA), on the occasion of the Seminar. In his Inaugural address the Hon’ble Minister of State for Commerce & Industry, Dr. E. M. Sudarsana Natchiappan recalled that the pro-industry reforms introduced in early 80s by the then Prime Minister, Mrs. Indira Gandhi, have been further strengthened and taken forward by successive governments. As a result of these pro-active policies of government, today we have an extremely conducive industrial environment in India for foreign investments. The vision of the government is to set up cluster of similar industries in a large number along important industrial corridors to ensure uniform development across the country. Competition among the Indian states, for attracting investment by way of incentives and favourable policies, is encouraged. Partnership of industry with research organizations and joint patenting of innovations can provide further impetus to transfer of technology from laboratory to industry. He mentioned that international seminars of this dimension were much more useful for facilitating technology transfer and exchange of ideas. While talking on technological status and prospects of the Indian cement industry, Mr. Ashwani Pahuja, Director General, NCB said that while “conserve, recycle and renew”, will form the three vital components of the growth strategy for any industry, the sustainability of cement manufacturing should be evaluated within the context of triple-bottom-line (3BL) thinking, i.e., integrating the three Ps of profit, people, and the planet into the culture, strategy, and operations of the cement plants. Indian cement industry has always been cognizant of this approach and its achievements over the years bear testimony to the successful adoption of this approach. Presently, cement companies in India are building global capacities, modernizing plants, improving efficiencies, cutting costs and restructuring their business houses to become highly competitive. 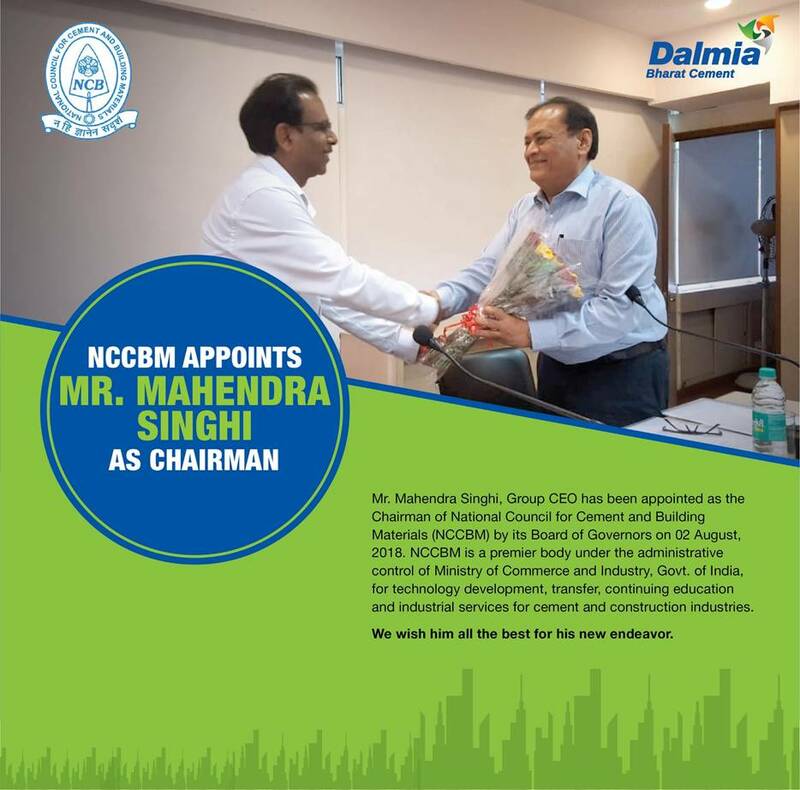 NCB has been actively associated with the Global Cement Sustainability Initiative (CSI), a part of the World Business Council on Sustainable Development (WBCSD) on a key project to assess opportunities for carbon emission reduction and increased resource efficiency in cement manufacturing process in India. This has resulted in a Low Carbon Technology Roadmap for the Indian Cement Industry. Mr. Pahuja advocated for a continuing need for putting in R&D efforts on a more vigorous basis, not only in the areas of resource conservation, energy and environmental management, waste utilization etc., but also in the focal areas like developing cements with lower clinker factors, exploiting newer cements such as composite cements and Portland limestone cements, assessment of service life and life cycle cost of structures, sequestration of CO2 through carbon capture and storage, farming of algal biomass as a source of renewable energy, geo-polymer cement and other low lime or no lime binders, oxy fuel kiln etc for reducing the carbon foot print of cement and construction industries. 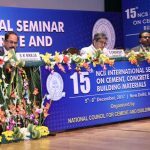 The Seminar provided a comprehensive update on cement and construction technologies including related plant and machinery, projecting national and international endeavours and experiences in these areas with the underlying objective of sustainable development. More than 120 technical papers were presented in 21 technical sessions including one special lecture during the course of four days of the Seminar. The Seminar deliberations focused on the three corner stones of Cement and Construction industry, viz, Development, Innovation and Sustainability with emphasis on energy efficiency, productivity enhancement, quality control and use of alternate materials. The exhibition organized concurrently with the Seminar, provided valuable information about the latest machinery, related auxiliaries, instrumental & control techniques and chemical & mineral additives & admixtures available to the industry. Following is a brief account of the deliberations held in the technical sessions and the recommendations arising from the same. The special lecture, “Low Carbon Cement Based on Clinker, Calcined Clay and Limestone”, by internationally renowned expert Prof. (Ms.) Karen Scrivener highlighted the use of limestone in combination with calcined clay as blending components to produce cements having good performance as well as reduced carbon footprint. The paper on long term strategic planning for optimization of limestone mining compared the effect of various ore body models for determination of optimum ultimate pit limit of a mine and resultant optimum production schedule over the total life of the mine. Use of 2% LD slag in the raw mix for manufacture of OPC clinker improved burnability due to fluxing effect of slag. Red mud and alumina bearing waste from aluminum processing could also be used as raw mix component and the toxic elements present in it were reported to be fixed in cement matrix. Co-processing of alternate fuels is an environmentally sound and ecologically sustaining solution for waste management. Papers related to implementation of co-processing, ie, preparation, handling, feeding, dosing and combustion systems for solid, liquid and low volatile matter fuels were presented. Successful plant trials with various types of alternate fuels such as wastes from chemical, automobile, and FMCG industries as well as MSW/ RDF were discussed in detail. In general, there was no noticeable impact of co processing of different kinds of wastes on either the environment or the cement produced. 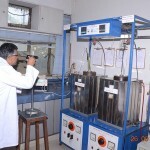 Spent catalyst E-cat, a petroleum refinery waste, was found suitable as blending component along with fly ash in PPC. Variable quality and lack of performance based specifications were presented as two main impediments to higher usage of secondary cementitious materials in cements and concretes. The deliberations on the above themes were spread over three technical sessions. Developmental efforts in plant and machinery have resulted in production lines above 12000 tpd and single mill solutions for raw material, clinker, slag and additives. Developments in new generation drive system with integrated motor / multi drive concept for large capacity VRMs, flexible grinding system designs for slag and advanced separator design to enhance roller press output were presented. Operational experiences with different types of grinding systems for raw material, coal and cement grinding were also presented. Stand alone grinding plants and slag grinding under pressure were also discussed. Slag grinding under pressure could be achieved at significantly low specific energy consumption of 25.7 kWh/t for a fineness of 412 m2/kg. The efficacy of VRM for coal and pet coke grinding with low power consumption and less wear and tear was also discussed. Latest trends in handling, weighing and dozing systems for raw materials including alternate fuels were presented. These included rotary weigh-feeders for metering pulverized coal and powdered secondary fuels. Innovative solutions to mitigate fugitive dust such as automated cement packing, loading and dispatch system; system for dust free very rapid loading of loose cement or dry fly ash to open truck; a unique system for collecting dust while loading cement bags inside closed wagons; and environment friendly conveying of bulk materials using pipe conveyors were highlighted. Advances in air-solid separation including high efficiency cyclone design and development of better cleaning technologies for fabric filters were presented. Papers highlighting advanced calciner and burner geometry designs, particularly for waste derived fuels, efficient and reliable coolers were presented. Various features of newer designs of clinker coolers which are easier to install as well as energy efficient, were presented. Combustion systems for alternative fuels which can accommodate different types of fuels along with main fuel and simple in operation were also discussed. A paper on Cement terminal system for bulk handling of cement was also presented. The technical session on Modern Trends in Project Engineering and System Design covered project engineering challenges in construction of green field plants/ expansion of existing plants; optimized plant layout design; and effective project engineering solutions to reduce civil and structural costs. Innovations and new technologies in construction, employed for commissioning of a 3.0MTPA greenfield cement plant in just 18 months were presented. Due consideration of the natural, atmospheric and other features of a site at the design stage, especially in system and equipment selection, ensured smooth operation of the projects presented. Role of plant layout and optimized plant design in reducing costs, both at investment stage and during operation, were presented. The methodology of the Business Intelligence Analytics (BIA) solutions to monitor and improve key performance parameters and its benefits were presented. The deliberations on the above theme were spread over two technical sessions. A modern process control system to fulfill monitoring, control and diagnosis functions, for different software and hardware platforms, was presented. Optimization of plant operation and trouble shooting measures included modification of raw mill reject recirculation system, raw meal transfer from one unit to another and in-situ conditioning of raw mill fan shaft. Economizing the fuel and power consumption in cement plant through optimization of raw grinding with roller press, hot disc for enhancing alternate fuel utilization, preheater fan design for waste heat recovery system and ABC inlet for cooler inlet section were discussed. Overhead conveyor system for empty bag handling for enhancing the productivity of packing plants was discussed. Diagnostic studies for cement mill optimization were presented through a case study. Accurate, on-line air flow measurement system for hot dusty applications enabling energy savings and steady operation of mills and kiln was presented. Optimal ball mill control using precise measurement of ball mill process parameters coupled with modern fuzzy based expert system for achieving higher throughput and constant quality was presented. Use of mathematical methods for improving business operation by cost optimization of various operating parameters was covered. Case studies were presented on optimization of kiln operation for productivity enhancement. Kiln optimization is a potential tool and can be effectively utilized by the cement industry for achieving PAT targets. Cement process optimization using advanced process control techniques was presented. Paper on efficient running of bag house highlighted usefulness of conducting process audits. Latest developments in the areas of high performance refractories for critical zones of cement rotary kiln system such as chrome free basic bricks and precast modular lining systems were presented to tackle the service conditions prevailing due to increased use of alternate fuels / materials. Field trials of a new type of magnesia based castable for the burner pipe lining and upper transition zone lining of cement kilns showed improved life of ten months as compared to three months life achieved using bricks. Use of precast modular lining systems was found effective under service condition prevailing due to use of alternative fuels and more than 18 months service life was achieved with no sign of degradation and build ups were minimized. A new product called ROCKHARD, to protect the steel plates from severe abrasion and wear outs in different equipments in cement plants, was presented. Perilex brick with improved properties, without use of chromium, for burning zone and upper transition zone of cement kilns achieved lining life of more than 19 months against 13 months with standard magnesia chrome bricks. Details of alkali resistant refractory with far better performance for cooler, ducts and cyclones of cement kilns were presented. A paper on effect of up to 10% addition of fly ash on white Portland cement showed improvement in strength at 28 days onwards and the hydration product development similar to that of grey cement. A study was presented showing suitability of ~ 4% granulated steel (LD) slag as a raw mix component and ~5% as performance improver in manufacture of OPC. A paper presented on Portland limestone cement showed normal strength characteristics, generally less water demand and slightly increased setting time as compared to control OPC. Investigations reported on rapid hardening magnesium oxychloride based cement show loss of compressive strength, soundness properties and water resistance on increasing the temperature of magnesium chloride solution. Addition of nano silica was reported to increase the early as well as later age strength of cement. Using DTA and FTIR results, this was considered to be due to acceleratory effect of nanosilica on cement hydration which also resulted in shortening of setting time. A paper highlighting efforts to alter the mineralogy of fly ash by altering compositional as well as process parameters to enhance its pozzolanic activity and by converting fly ash into synthetic slag was presented. Some other papers presented in this session covered use of different types of gypsum such as chemical gypsum, marine gypsum, etc. and gypsum bearing wastes such as jarosite and their effect on the performance of cement, which indicated potential of replacing mineral gypsum by these alternate sulphate bearing materials. One of the authors highlighted use of vacuum technology for removing spilled dusty material from different locations in cement plants. In another presentation, replacement of ESPs with pulse jet bag filters was shown to result in substantial reduction in emissions in the older cement plants. Results presented on activation of non-conforming fly ash by grinding and fractionation indicated that grinding resulted in substantial increase in lime reactivity. Also the finer fraction of fly ash, obtained by fractionation, was found to exhibit higher reactivity. The paper on multi-component blended cements emphasized their role in achieving CO2 reduction. Three papers covered the important topic of geopolymeric cements and their applications. The paper on geopolymeric cement prepared by alkali activation of coarser fly ash presented the significance of curing condition on strength development as well as performance. Use of fly ash based geopolymeric materials in production of building bricks was also presented. The utilization of marble dust as performance improver in OPC was reported to yield performance similar to that achieved using limestone. The results indicated scope for marble dust utilization in cement manufacture. During discussions, ‘alternate sources of aggregates’ was considered to be another important area which needed to be explored. The session covered advanced, reliable automated quality control systems; analysis of cement materials using XRF and photometric titration techniques; XRF analysis of alternate fuels and innovative neutron based technology for rapid real time bulk analysis. A very effective fusion method for sample preparation for XRF analysis which can be used for analysis of chlorine also, was presented. 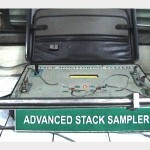 Analysis of cement products containing halogens using bench-top XRF spectrometer was also presented. Photometric titration technique was presented as a faster and reliable method for analysis of major constituents in cement materials. 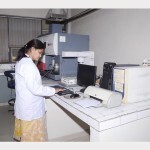 A paper on proficiency testing highlighted a PT Scheme which had participation of 64 laboratories and concluded that there was need for improvement in quality practices and regular training of analysts at various laboratories. A case study highlighting the achievements through adoption of best practices of quality management in cement plants was presented. Paper on bench marking of quality parameters in cement industry with respect to variation in chemical and physical parameters would be helpful in achieving consistent quality of cement at cement plants. Development of certified reference material for coal by NCB was presented as a step towards bridging the gap. Two technical sessions were devoted to this important theme. Two papers on utilization of granulated steel slag and coal bottom ash as replacement of natural were presented. 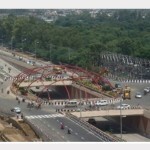 The materials showed good performance and their utilization provides an eco-friendly alternative to river sand. A paper was presented on matrix based method to solve the problem of variation and non-compliance of standard sand and ensure reliable and reproducible cement strength results. Assessment of extent of damage to concrete caused by fire was presented using changes in microstructure. Such microstructural studies could play a key role in rehabilitation of fire damaged concrete structures. A review on use of natural biopolymers for improved mortar and concrete properties of cements was also presented. Use of calorimetery in the study of concrete mix design provides an insight into the hydration processes and the method could be gainfully used for maximizing use of other cementitious materials. Coarse flyash along with OPC and sand was shown to be suitable for use in controlled low strength material for structure backfill as an alternative to compacted soil fill. The study presented on use of PPC in RCC and prestressed concrete will generate confidence in engineers to use PPC in prestressed bridges and other important structures. A paper was also presented on numerical solutions to choose concreting strategies to prevent thermal cracks using model ThermoFEM3D. The program can be used to study concreting strategies for ensuring safety of the structure along with considerations of economy. The study on green pavement with lower thickness of HVFAC concrete revelead that cement concrete pavement designed at 90 days flexural strength could lead to reduce thickness of pavement as there was 40–55 percent increase in flexural strength for high volume flyash concrete. The deliberations on the above theme were spread over two technical sessions. The paper on renewable energy & applications in cement plants focused on the application of solar energy in cement plant and its benefits. Another paper discussed the waste heat recovery experience in India including the objective and benefits as well as sources of waste heat. Two studies highlighting the various measures adopted for reducing thermal & electrical energy consumptions at two large cement plants were presented. Study on improving energy efficiency in bag filter systems reported good improvement in particulate emissions & pressure drops with use of membrane filter bags. The energy saving with use of pre-grinders was presented through a case study. In the paper “Energy security plans in India-Problems and Prospects’ the presenter discussed the present problems and the way out to meet the huge energy shortage which is affecting the economic growth. Another paper presented installation of solar power plants and discussed the use of generated solar power at a cement plant to meet its renewable energy purchase obligations. A paper detailing assessment of fugitive emissions based on modeling and development of cost based mitigation methods in a cement manufacturing plant was presented. A paper highlighting the efforts made towards developing a user friendly data base for mineral waste management in India was presented. The data base contains physico-chemical, mineralogical, morphological and mechanical characteristics of flyash/ bottom ash generated at different thermal power plants, slag and C&D waste. 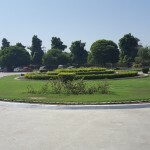 The paper on GHG reduction potentials in the Indian cement industry highlighted the measures to reduce GHG emission and the contribution from various leading organizations such as World business council for sustainable development (WBCSD), Cement sustainability initiative (CSI), CII, NCB and IFC towards this cause were discussed. Another paper highlighted the benefits of adopting separate grinding and blending in achieving lower specific energy consumptions as well as better quality of blended cements and consequent possibility of further lowering in CO2 emission. The important environmental issues relevant to Indian cement industry viz., gradual improvement in control of different emissions like particulate matter, oxides of nitrogen, sulphure dioxide, etc. and the prevailing technologies world over for control of the emissions in cement industry were also discussed. The Seminar concluded with the presentation of National Awards for ‘Energy Efficiency’, ‘Environmental Excellence’ and ‘Quality Excellence’ in the Indian Cement Industry as well as the awards for twelve best papers by Mr. Talleen Kumar, Joint Secretary, DIPP, Ministry of Commerce and Industry, Govt. of India to the award recipients. A Technical Exhibition was organized concurrently with the Seminar. The technical exhibition bearing on the themes of the Seminar was an added opportunity for the delegates to have an exposure of the state-of-the-art developments around the world. 79 companies participated in the technical exhibition occupying total 122 stalls constructed for the purpose. The spectrum of these companies included manufacturers of main cement machinery, laboratory equipment, automation/controls, consultants, cement, refractory, packaging, conveyors etc. Various modes of display were adopted by these exhibitors such as, actual machine/equipment, components, scale models, literature & books, charts, photographs, video displays etc.